A lot of beginners often ask, “why would you need a distortion pedal?” There’s a misconception that all musicians with an electric guitar or an amp need a distortion pedal. Actually, a distortion pedal is not a requirement. It is an add-on that could give your tone and your music more color and texture. That said, if you are happy with the sound you already make, then there is no need to purchase a pedal. However, if you are someone who is looking to learn metal, then you might want to invest in a few pedals. Achieving a true metallic sound can be difficult with a guitar alone. Even if you own a high-end guitar, sometimes it simply isn’t enough – especially if you are looking to replicate some classic metal music. Perhaps it’s the amp, the guitar itself, or something else… But whatever the case may be, a distortion pedal could be an easy fix. A good distortion pedal should be capable of giving your tone a boost, producing a more metal sound. It should also give you more variety of tones so that you can add your desired texture to your music. Picking the best out of the whole lot is challenging, but the good news is, we’ve rounded up the 10 Best Distortion Pedals for Metal. Check it out and you might find what you’re looking for. The BOSS DS-1 distortion pedal is literally the boss of all pedals. It is robust, easy to use, and is full of features that every guitarist would love. if you’re looking for the complete package, then this is the only distortion pedal you will ever need. Its Tone, Level, and Distortion settings successfully provide a wide variety of sound to accommodate almost any musical style. What I love about the BOSS DS-1 is how clean and crisp the sound is. No matter if you are looking for some fuzz or a high squeal, the BOSS DS-1 delivers without sounding too harsh. The Behringer Ultimate Metal UM300 is often regarded as the best distortion pedal for heavy metal. With its multi-gain circuitry, you get super-thick and tube-like distortion and endless sustain – just the thing heavy metal rockers need to complete their sound. Like other distortion pedals, the UM300 also comes with the usual Distortion and Level controls. It also has the High and Low controls that allow you to control the amount of the top-end and bottom. But what impressed me most about this guitar is the mid-frequency control – now that’s something we don’t see very often among distortion pedals. This mid-frequency control allows you to select a midrange frequency ranging from 200 Hz to 5 kHz, and boost/cut by up to 15 dB. In short, you get a whole palette of great-sounding metal tones. Looking for a more expressive metal sound? You need to check out the Donner Giant Metal Guitar Boost Distortion Effect. This modest-looking pedal may look too plain and simple on the outside, but wait until you hear what it can do. With just three sound buttons and three mods, you can adjust your desired metal tone and you also get an abundance of rich metal sounds. And the best part of it all is that it was designed to be so easy, you can access all those tones with just those three buttons. If an aggressive distortion isn’t exactly your cup of tea, then the Donner Morphed Distortion Pedal could be what you are looking for. It produces a smooth and softer distortion – just enough to get that distortion fix for your music. Just like the other Donner distortion pedal mentioned above, this one is also a beginner-friendly pedal. If you are new to the metal genre and would like to achieve a fuller, louder sound then The Morpher could give you an easy fix. Are you a big fan of classic metal and would like to replicate the same metallic tone, a similar punch and screech just like your favorite bands? The Boss MT-2 can help you achieve your goals. The quality of distortion from this pedal is incredible, thanks to its unique dual-gain circuitry. It also provides users with super-long sustain, heavy miss and lows – in short, the perfect companion for anyone who loves hard rock and metal. But for me, it’s all about the three-band EQ with the mid-control. When it comes to distortion pedals, I’m all about the range of distortion textures – the wider the range, the better. And this distortion pedal delivers. Additional shaping is achieved using the gain and tone controls. You can use the Lo and off boost positions to get a great rhythm tone. In this position play with the tone and gain knobs to recreate tones from your favorite bands or uniquely create your own sound. Then switch it into Hi-Boost for a face melting solo. 【SOLID CONSTRUCTION】Made of high-quality zinc alloy, durable and sturdy. 【TRUE BYPASS】True bypass provide transparent tone.LED indicator shows working state.【MINI SIZE】Small and exquisite,can save a lot of space on pedal board. 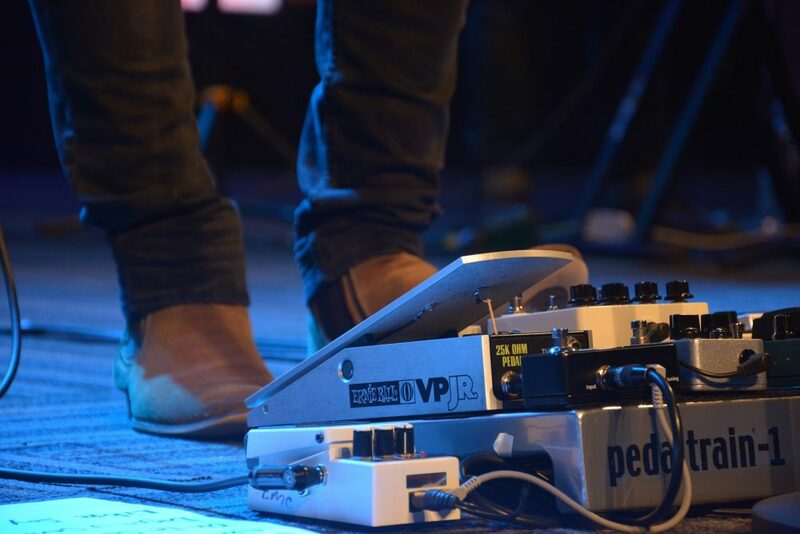 Please note this pedal NOT include power adptor. Need a DC 9V power supply with negative in the center to power up. Pleae buy it separately at Rowin Music store. Thank you. If you are just starting out with metal distortion and do not want to spend a fortune on a pro pedal, the Rowin Analog Heavy Metal Distortion Pedal is a good choice to start with. It has all the basics you might need with a standard distortion pedal for metal: volume and tone controls and a True Bypass. It’s simple, easy to use, and very straightforward, making it a great beginner’s option as well. Two models：BOOST Mode: Provide BOOST effect of Metal drive.NORMAL Mode: Provide normal effect of Metal drive. Judging by its name, the Donner Metal Head Guitar Effect Pedal is obviously made for metal. But did you know that it is more commonly known as the smallest distortion pedal in the market today? The nano-size might put off some people but personally, I think that it is great. It could potentially free up some space on one’s board and who doesn’t want more space? But if you think that the mini size of the Metal Head meant minimizing its features, you’re in for a big surprise. This tiny pedal produces a mean metallic sound. In fact, it has all the components all the other regular-sized great-sounding distortion pedals have. 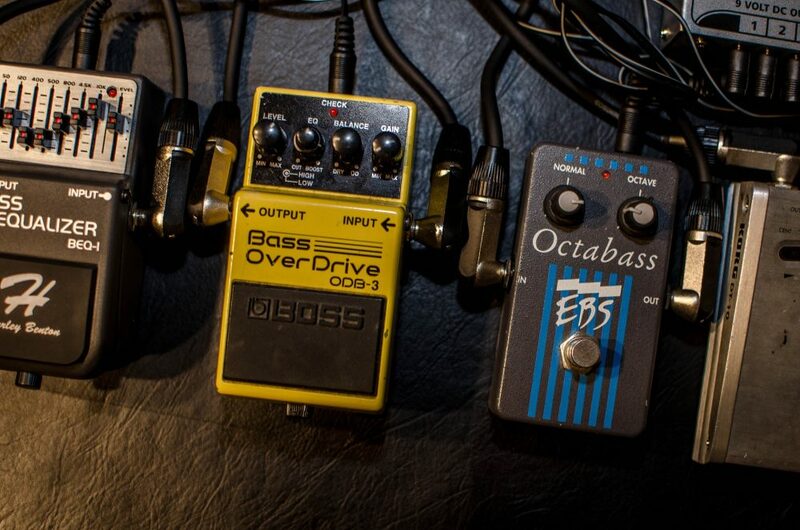 Most of the other distortion pedals mentioned above need to be plugged in with cables. If you’re looking for a pedal that runs on batteries, the Behringer OD300 is one of the better options out there today. With this pedal, you can switch between overdrive or distortion, or even a combination of both effects. You can also control Dedicated Level, Tone, Drive, and Mode, allowing you more creative freedom to shape the sound you desire. What I really love about this pedal is the fact that the overdrive and distortion can be controlled with just one pedal. Now you don’t need to buy separate ones to get the sound you want. This super solid and robust-looking distortion looks like it was made for metal music. And true to its shape and appearances, it does come with a lot of fun features that a true metalhead would love. If you’re looking for a distortion pedal that gives you the best of all possible controls, this is what you need to be looking at. The Electro-Harmonix Metal Muff has a high impedance buffered bypass, output volume, and master drive controls, and a three-band EQ: bass, mid, and treble – basically, it’s the kind of stuff every metal musician would need. The Joyo JF-01 may look like it’s all about fun and games with its green body and bright yellow knobs, but this pedal means serious business. Cosmetics aside, it has all the basics covered for a nice metal sound. The Joyo JF-01 comes with a Quality Switch, Tone, Volume, and Drive controls. But what I love most about it is its stompbox style DPDT switch for clean and quiet switching. It may be my choice of distortion pedal for a beginner who is just starting out with their first distortion pedal. 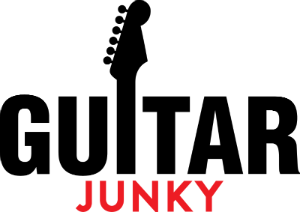 We love talking about Distortion Pedals over here at The Guitar Junky simply because there are the kinds of tools that bring out the creativity in a musician – and we are all about that creative freedom. If you want to choose the best distortion pedal for metal, you’d want something that isn’t just robust and built with great quality craftsmanship. You’d want one that could produce your personal sound, just the way you like it. Shopping for a distortion pedal is a lot of fun because you get to discover and listen to different types of effects. And who knows? You might be able to find something that is unique but compatible with your type of music. So the first thing you should do to find the best distortion pedal for metal is to understand what kind of metal, or rather, what type of metal sound you are looking for. Once you’ve got that settled, go ahead and try out a lot of distortion pedals. The next thing you want to look for in a distortion pedal is all technical. You need one that is not just durable, you need one that is stable, responsive and one that can produce your type of distortion in a clear way. Distortion pedals are a lot of fun, and it’s difficult to just choose one especially if you’re the type who loves experimenting with sound. But for the sake of this roundup, we had to choose one winner, and that is the BOSS DS-1. As we’ve said, we like distortion pedals that give users a lot to play around with, and this distortion pedal has it. It is one of the more robust pedals that allow users to control distortion, level, and tone. Plus, it comes with all those attractive accessories in the bundle – who wouldn’t want to receive all that?